Author: MacLeod, William Set In . . . 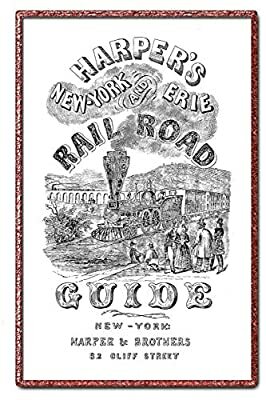 Description: A wonderful description of the scenery, rivers, towns, villages, and most important things on the New York & Erie Railroad through New York State. Towns mentioned include Piermont, Blauveltville, Suffern's, Ramapo, Sloatsburg, Monroe, Oxford, Chester, Middletown, Otisville, Port Jervis, Pond Eddy, Barryville, Deposit, Starrucca, Binghamton, Owego, Barton, Waverly, Chemung, Elmira, Corning, Painted Post, and lots more. This book is a beautiful reprint - first published in 1851.